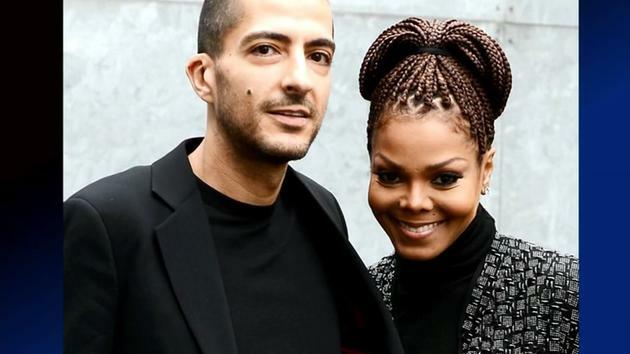 Last April, Jackson cut her "Unbreakable" tour short with a video announcement to fans explaining that she and Al Mana, whom she married in 2012, were focusing on family — that is, on starting one of their own. The new mom kept a very low profile for much of her pregnancy. She released a baby bump photo exclusively to People Magazine back in October. Jackson never officially announced her pregnancy, or confirmed it in so many words. She informed her fans she was going to be delaying her world tour until further notice while "planning her family," but then silence, and only a handful of pictures of her in public, followed before her husband, Wissam Al Mana, released a statement revealing that their son, Eissa Al Mana, had been born and the first-time mom was resting comfortably. She married Al Mana in 2012, but didn't confirm to her fans as much until 2013. In the past, Janet had discussed her wishes to have children and was open to the idea of adoption if she was unable to give birth herself. Talking to Harper's Bazaar she said, "Sure, I'd adopt, and I think that if I'm really supposed to have kids, it will happen, if that's God's plan for me." She also told the publication she wouldn't encourage her children to go into entertainment "unless it was something they really wanted to do. If they knew what they were up against." Her father, Joe Jackson, shared his happiness via his website, but he may have also confirmed a long-standing rumor. Janet’s sister La Toya Jackson, 60, also took to Twitter to reveal her excitement at the new addition to the family. Including a picture of a blue balloon with ”It’s a boy” emblazoned across it, she wrote: “How exciting! @JanetJackson, Jan and Wissam just gave birth to a beautiful baby boy!!! Janet previously expressed how they felt thrilled over the news, telling People magazine, "We thank God for our blessing."